Updated Monday June 12, 2017 by Stan Dorsey. Congratulations goes out to the Northwest Division champion Gallagher Middle School (GMS) baseball team, which was eliminated from the state middle school tournament last week after an outstanding 14-2 season. 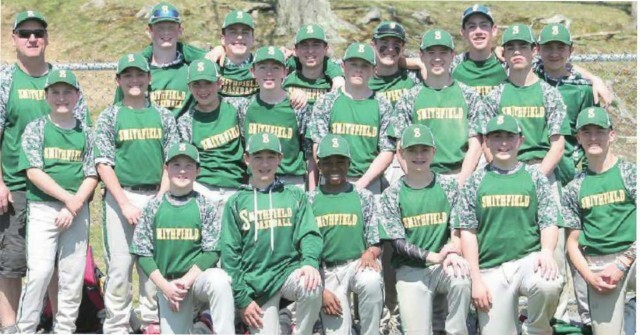 All 20 players from this year's squad have roots in Smithfield Little League, including 18 who are currently playing at the Majors or Juniors level. Their performance this year stands as a testament to SLL baseball and its ability to develop kids for future success in the sport. Many thanks to the managers, coaches and parents who have supported these kids along the way, not to mention GMS Coach Jay Kennedy, who is currently guiding his SLL Cubs through the Majors playoffs.